Buying a New Condo? Are you Protected? Home » Investing in Real Estate » Buying a New Condo? Are you Protected? Potential new condo buyers should be aware of some of the safeguards that have been put into place to protect condo purchasers in Ontario. 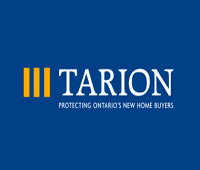 Tarion Warranty Corporation (formerly the Ontario New Home Warranty Program) is a private corporation that regulates and licenses builders and vendors of new homes and protects the rights of new homebuyers under the Ontario New Home Warranties Plan Act. Every condo builder and vendor of new condo construction must be registered and each new project enrolled with Tarion. Deposits Tarion protects Purchasers’ deposits or down payments of up to $20,000 plus interest. Tarion will return those deposits to purchasers if the builder goes bankrupt. Delays Tarion will compensate purchasers up to a maximum of $7,500 for living expenses (meals and accommodation) up to $150 per day for each day of delay until the delayed occupancy date. Receipts for living expenses do not have to be provided. Compensation is also payable for costs incurred as a result of the delay (i.e. additional moving and storage costs), but in this case receipts must be submitted to Tarion. In addition, if the vendor does not provide the 10 days notice of an occupancy delay, the purchaser will be entitled to an additional compensation in the amount of $1,500 ($150 x 10 days). Warranties Both the units and the common elements are insured with Tarion against defects. This only applies to new construction and not to conversions, which do not have any Tarion warranty protection. The warranty for units starts from the date of possession (i.e. occupancy). The warranty for the common elements starts from the date the condominium is registered. Unit owners do not deal with the common element defects. These are left to the board of directors of the condominium corporation and are identified within the first year through an engineering study known as the “performance audit”. The unit owners will be surveyed within the first year, in order to determine whether or not they have noticed any deficiencies on the common elements, of the sort which only they could be aware (i.e. window leaks, balcony issues, etc). Just prior to occupancy, unit owners will carry out their own inspection of their units with the builder’s representative or consultant and that is when defects are noted on a form called the Certificate of Completion and Possession (CCP). This form must be delivered to Tarion within the first year from occupancy. There are one year, two year and seven year warranties. Each warranty covers different aspects of construction and deficiencies. Substitutions If the Agreement of Purchase and Sale sets out the right to select specific items of construction or finishing, they cannot be substituted without the purchaser’s consent. If there is not the right to select in the Agreement, the items can only be substituted with items of equal or greater quality.